Obstacle course racing events and adventure races like Tough Mudder and Spartan Race are popping up across the country. Combining elements of trail-running with a military challenge course, obstacle races take the adventure off-road. On a cross-country running course you can expect to encounter hills, mud, rope climbs, water hazards and other fitness challenges. Despite references to Spartan warriors and reputations as extreme tests of endurance, there is an obstacle race out there for everyone. Because races vary in terms of distance and levels of difficulty, participants range from first-time runners to elite athletes. Before registering for an event it is best to look into the different races to learn about the course, various obstacles and level of competition. It is important, however, to properly train and prepare for these types of events, and for fitness professionals to safely and effectively prepare clients. When creating an obstacle race training program, prioritize total body strength and conditioning. Begin to build a base of cardiovascular fitness by completing 30- to 40-minute steady-state runs, speed work and hills sprints. Then, when it comes to strength training, use bodyweight exercises like push-ups, pull-ups, tricep dips, squats and lunges to improve relative strength. 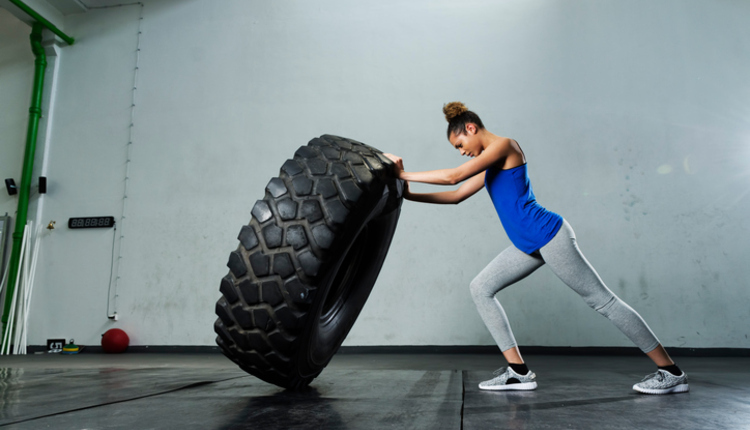 Because you will be expected to move your own bodyweight up, over, around and through various obstacles, your strength-to-weight ratio, or relative strength, should be a main focus of workouts. After building a base of strength and endurance, begin to incorporate more advanced techniques into your training program. Exercises like the kettlebell swing, box jumps, rope climbs and deadlifts are great options for improving total body strength. It's also a good idea to become acquainted with the burpee, or squat thrust. Combining a push-up and a jump squat into one move, this exercise is a mainstay in almost every obstacle race. You can also create interval-based workouts that increase speed and cardiovascular conditioning. Pair strength-based exercises like the kettlebell swing with sprint intervals to prepare for the start-and-stop, strength and cardio aspects of an obstacle race. Then, when you're ready to get to work, give this workout a try and use it as a template for future obstacle race workouts. Repeat the following circuit one to three times based on ability and fitness level. A 400-meter run is one lap around most outdoor tracks. If you do not have access to a track, use a stopwatch and run for three to five minutes. Then, rest one to two minutes before moving to the next exercise.